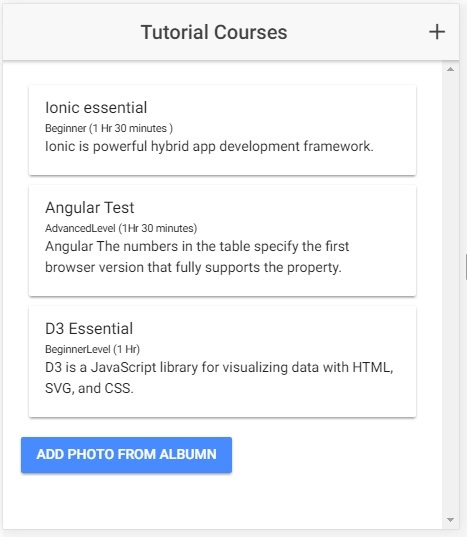 How to upload/read image to Firebase. 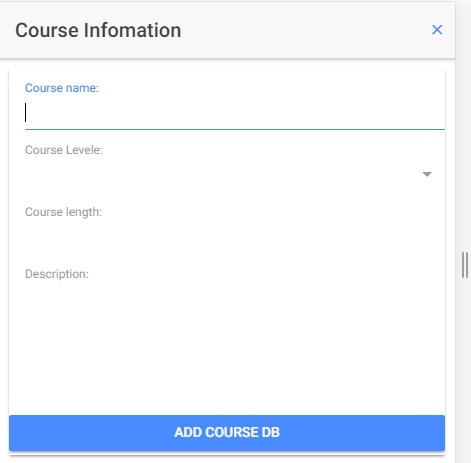 On clicking on the web app we will get API from Firebase project and add copy this code. Then create a new file in app folder as app.firbase.config.ts file and this code as below. replace all these dots with your values of API from Firebase. Now we have to import this code app.components.ts as a highlight. We can control the Firebase authorization but for this project, we are not adding any authentication. To perform CRUD operation Firebase database we have to set the database rule to the public so that we can access without login. We will create two page, home page for rendering all course and modal page to add a new course and edit old course. Create new folder models in app folder and add new file course.ts file. Add the following code in app/models/course.ts file. 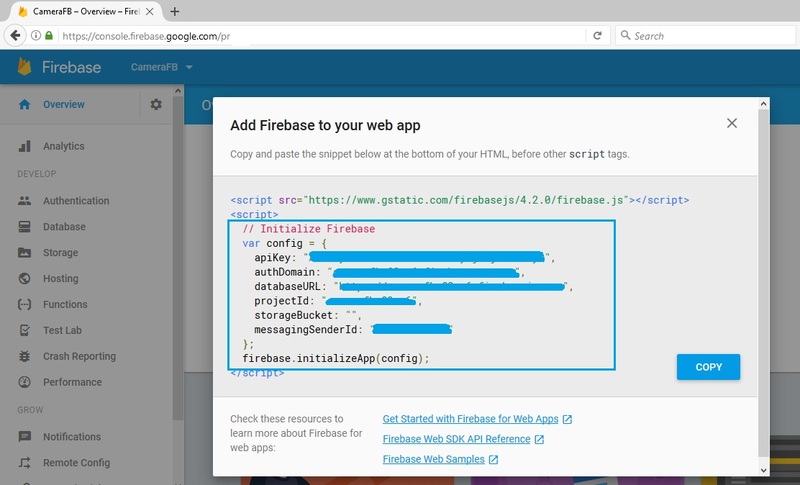 Step 5: Adding Service Provider for Firebase. Step 6: Adding typescript code in home and modals page.